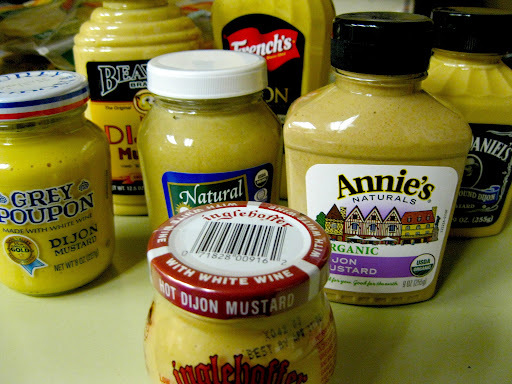 Dijon mustard is one of the most versatile pantry items in the cupboard. 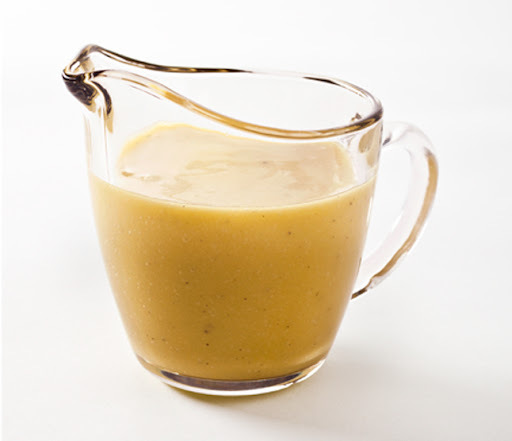 It adds depth to marinades, low-cal thickness to dressings and spiciness to your ham and cheese. 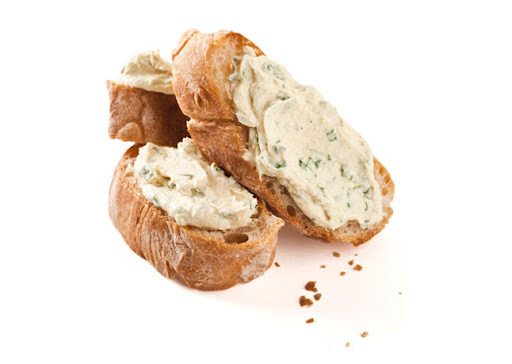 A smear of Dijon takes you up a notch on the classy scale and that’s where I prefer to live. I tasted 7 different brands taken from our shelves at Kress in downtown Seattle. When compared side-by-side, it was quite interesting how different they tasted. 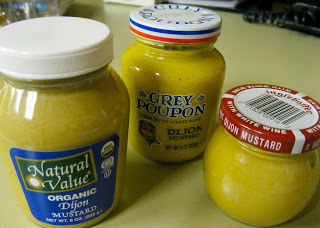 The winners: Natural Value Organic, Grey Poupon and Ingrehoffer, all are wonderfully different. Natural Value Organic had an earthy balance and spicy kick without bitterness. Of all the organic options I tried, this was the best by far. Grey Poupon is classic for a reason; spicy yet slightly sweet. Not bitter or over powered by horseradish. Ingrehoffer has a distinctly German taste. This was made for piping hot bratwurst with sauerkraut. Looking for fun ideas to do with Dijon? In a small saucepan, bring orange juice to a simmer over medium heat. Cook until the juice has reduced to about 1/2 cup, then cool. Just before serving, combine the cooled juice, shallot, 1/3 cup whole hazelnuts, vinegar, mustard, salt and pepper (to taste) in a blender and add oil in a slow, steady stream as mixture blends. You want the consistency of heavy cream. Careful not to over mix as the texture will break if it gets too warm. Season to taste with additional salt and pepper if needed. Keywords: bruschetta, butter lettuce salad, Le Pichet, Bon Apetite, Natural Value Organic, Grey Poupon, Dijon dressing, Ingrehoffer mustard.